Devotions to Fit Your Busy Life It can be hard to carve out quiet time with God when so many things are competing for your attention. But the benefits of spending just 15 minutes a day drawing closer to Him greatly outweighs the commitment. Nurturing your relationship with your Heavenly Father will not only strengthen you spiritually, it will help you accomplish all you set out to do. 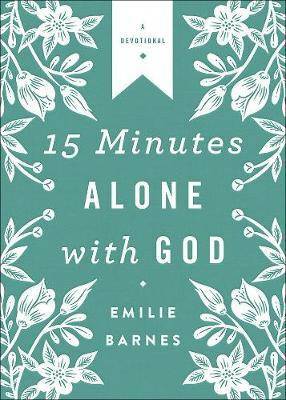 Each entry in this beautifully bound edition of the bestselling 15 Minutes Alone with God (over half-a-million copies sold) features a short Scripture reading, key verse, an inspiring devotion, easy action steps, and additional verses for further study. Let these heartfelt insights from Emilie Barnes bring you into deeper fellowship with God. Emilie's heart was always to help women like you in practical ways as you manage your busy home and life, and her words remain as inspiring today as when they were first published.